"If you own a business, the best way to thank a Veteran is to hire one." You have the skills that employers are looking for. VA can help you prepare for your next mission. The VR&E Program provides Independent Living services that can help you access and participate in community resources and enhance independence in your daily life at home. Every Veteran and Servicemember with a service-connected disability is different. That's why VA provides you with an individualized plan and works with you to see it through. See what's available. You may receive Vocational Rehabilitation and Employment (VR&E) services to help with job training, employment accommodations, resume development, and job seeking skills coaching. Other services may be provided to assist Veterans and Servicemembers in starting their own businesses or independent living services for those who are severely disabled and unable to work in traditional employment. To learn more about the VR&E program, review the VR&E Process page, and the tabs and links on this page. Click on the "How to Apply" tab to apply for VR&E services. VA's Education and Career Counseling program is a great opportunity for Veterans and Servicemembers to get personalized counseling and support to help guide their career paths, ensure the most effective use of their VA benefits, and achieve their goals. Learn more and apply for education and career counseling. Veterans leave military service with a wealth of transferable skills and professional experiences. Salary subsidies, assistive technology, non-paid work experiences, and special employer incentives may be available from VA to help you hire those who have served. Explore what VA offers to make hiring or rehiring a Veteran with a service-connected disability that much easier. VA created a Veterans Employment Toolkit for employers. This toolkit provides a variety of outside resources for employers, managers or supervisors, and human resource professionals, including information about Post Traumatic Stress Disorder (PTSD) and Traumatic Brain Injury (TBI). It also includes a link to Department of Labor's America's Heroes at Work site, which offers on-line trainings, webcasts, and presentations for employers and a Hiring Veterans Toolkit as well as a TBI, PTSD and Employment Training Tool. 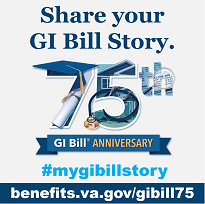 If you support a Veteran or Servicemember with a service-connected disability, who faces difficult employment challenges, there may be little left in the household budget for your higher education and career advancement. VA may offer assistance to help you assess your career goals and abilities, find your next job, further your education and skills, and identify places where you can get job training. Log in to your eBenefits account. Select "Additional Benefits" from your Dashboard. Select "Vocational Rehabilitation and Employment Program" - be sure to read the program information and to update your contact information - and apply for either the "Vocational Rehabilitation and Employment Program" or "Education/Career Counseling". If it is determined that you are eligible, you will be invited to attend an orientation session, in-person, at the nearest VA Regional Office. Servicemembers who have a disability that began or became worse during active duty and who have not yet received a service-connected disability (SCD) rating do not need to wait to apply. See VA Form 28-0588 for further instructions. For Servicemembers: Ill or injured Servicemembers who have not yet received a SCD rating do not need to wait to apply. Servicemembers expecting a discharge that is other than dishonorable who possess a VA memorandum or Integrated Disability Evaluation System (IDES) rating of 20 percent or more—as well as Servicemembers currently going through a Physical Evaluation Board—may be eligible to receive VR&E services.